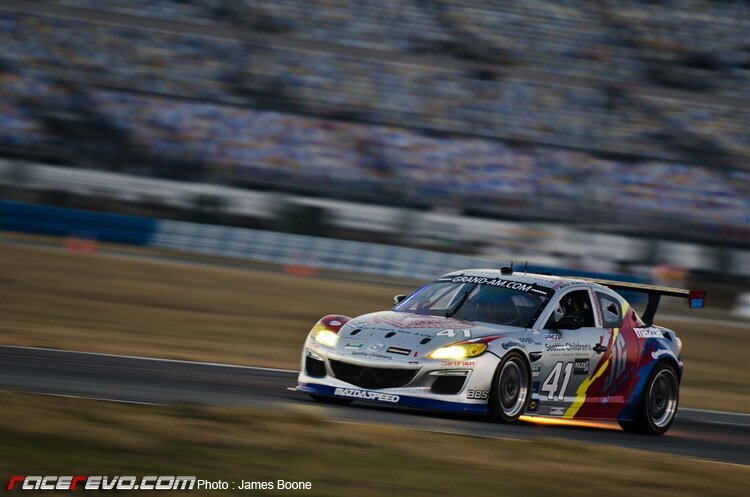 James Boone has uploaded this fantastic shot of Dempsey Racing Mazda RX-8 at the recent Rolex 24 Daytona 2011. The flames reflected on the tarmac just added to the drama and the blurred background of full house fans in the grandstand added to the intense racing. Not to mention the shallow Depth of Field definitely helps the car popped out giving the image real feeling of depth.